Scarleton Fashion Decorative Zipper Shoulder Bag is a stylish bag for all seasons and any occasion where you want to look sharp, yet have all your essentials at hand. This functional purse is well equipped with lots organized storage, enough room for your cell phone, wallet, makeup and toiletries with plenty of space left over. 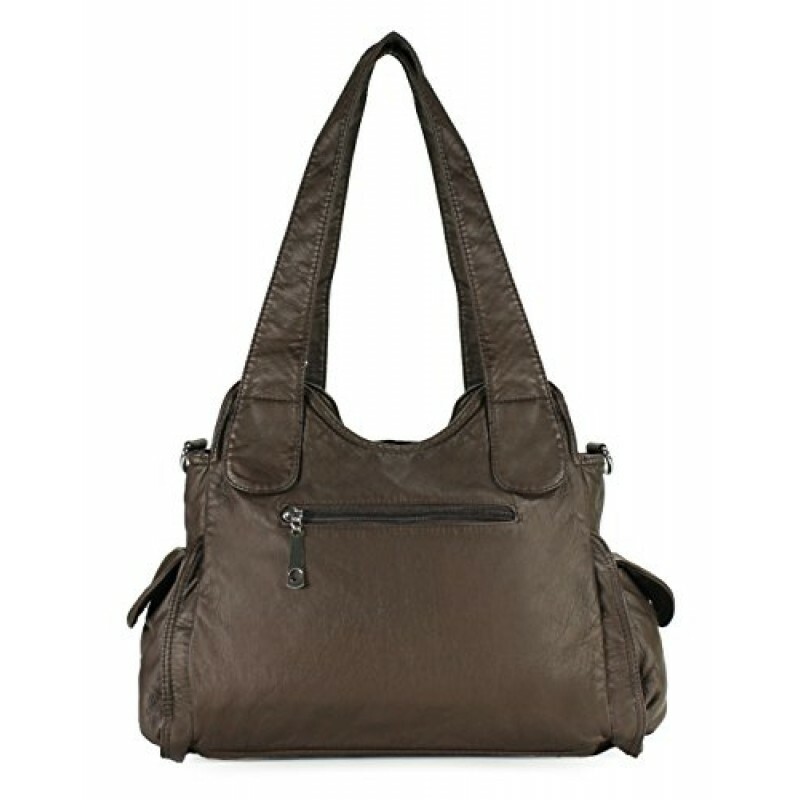 When your life is active, you need a chic shoulder bag with lots of pockets. 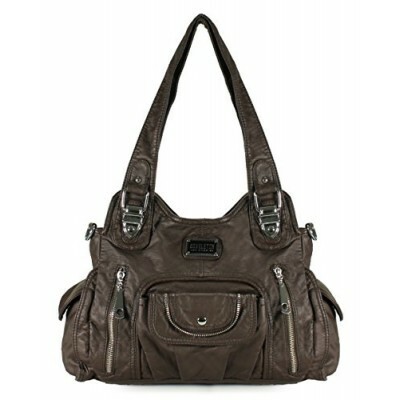 It's hard to find the time to hunt for purses and handbags that are both roomy and gorgeous at reasonable prices. 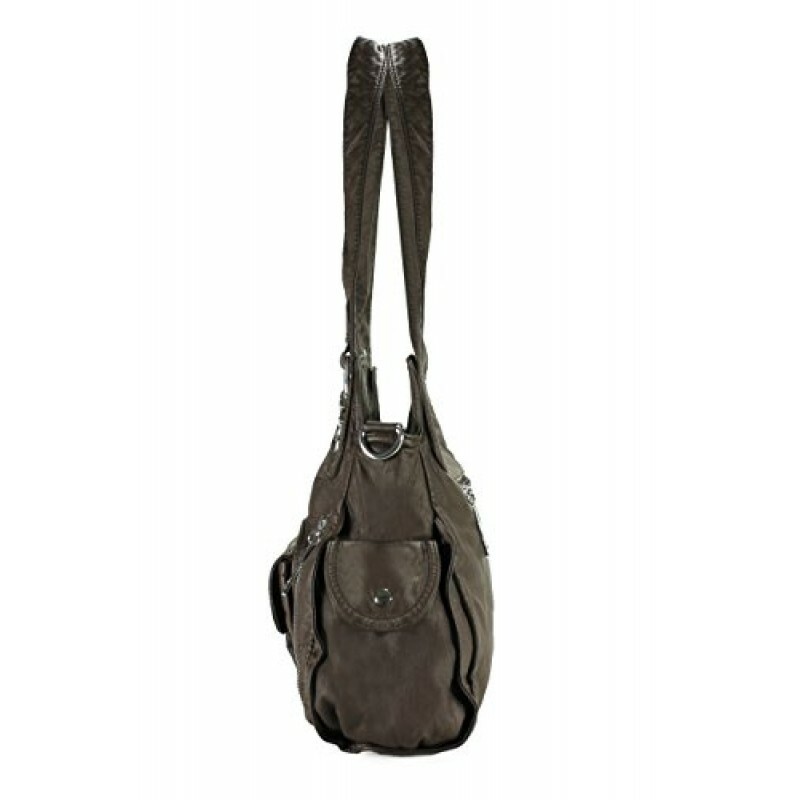 Fashionable, affordable and convenient, you'll want a Scarleton bag in every style! Please note: The bag color may vary slightly from the online image due to monitor color settings. 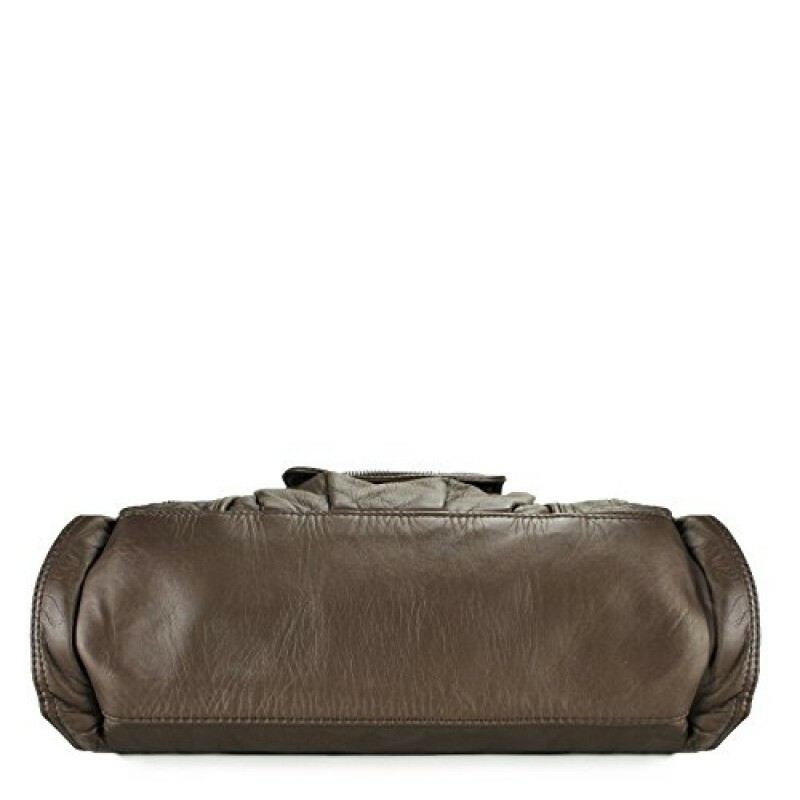 High quality washed synthetic leather with fabric lining. Classic silver hardware. Two top zipper closures. Two top handles. Two large interior compartments. 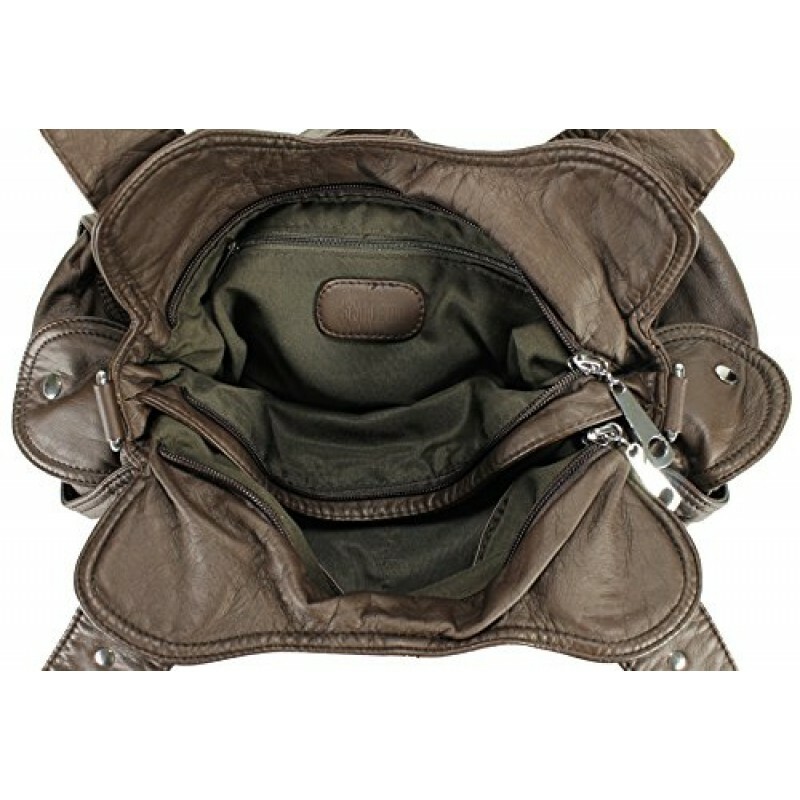 Interior cell phone pocket, multifunctional slip and side zipper pocket. Two exterior front zipper pockets. Three exterior snap pockets.